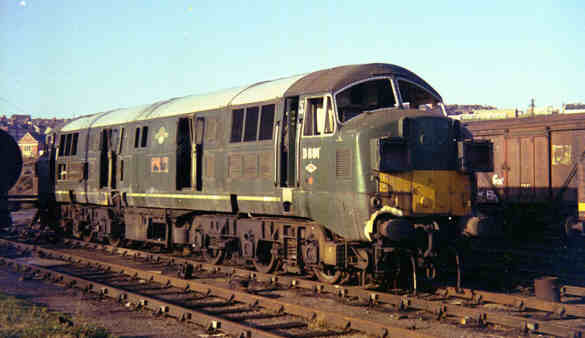 D829 was a class 42 'Warship', built at Swindon Works. 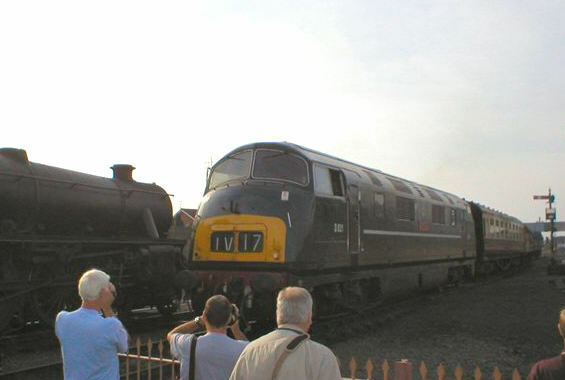 This class and their NBL built sisters were the front rank locos in Devon from the late fifties until the mid sixties. 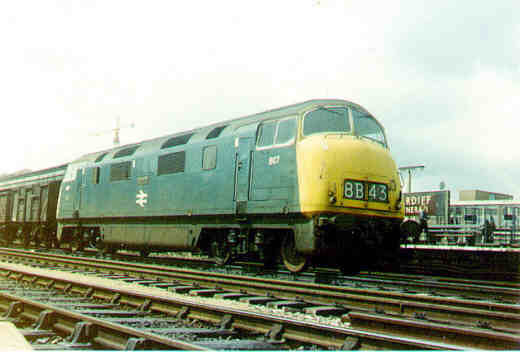 It is seen here at Bristol Temple Meads, in the final blue livery, but these locos were originally in green and many went through a maroon phase. 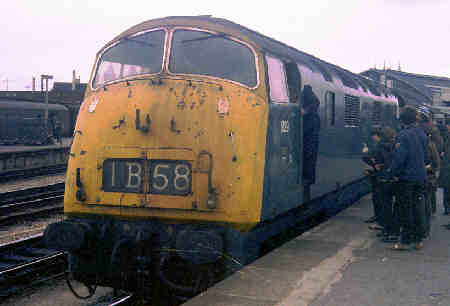 D810 Cockade is seen here minus its nameplates at Bristol Bath Road depot about to leave on one of it's last duties before withdrawal in 1971. 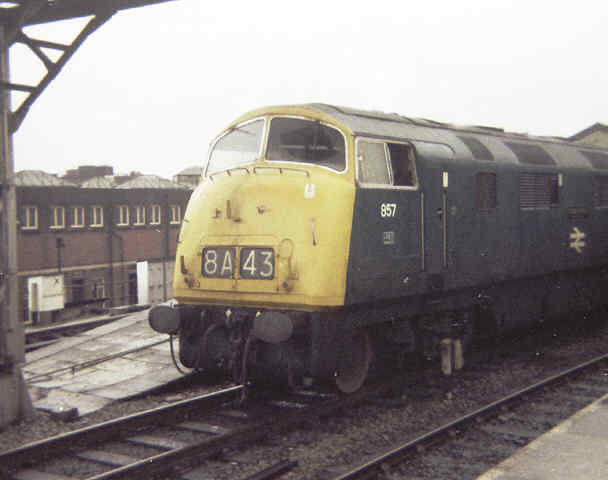 D829 is seen again, this time at Cardiff General. 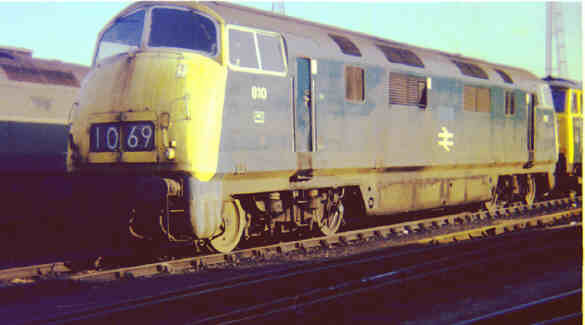 D807 Caradoc on a freight at Cardiff, again in 1971 shortly before withdrawal. The Warships were not really suited to such workings but by this time they had been replaced on passenger workings by Westerns and diesel electrics such as Classes 33, 45, 46 and 47. For a change a North British built Class 43, 857 Undaunted also at Cardiff General. The last D800 is another of D829 Magpie, this time at Cardiff. I haven't as yet been able to find any colour photos of them in green or maroon liveries, nor any on their "home turf" in Devon, but I'm looking for some! Photos by B Tucker. We mustn't forget the D600 Warships, represented here by D601 on the scrap line. There were only 5 of them, always misfits not fitting in with the diesel hydraulic idea of light weight for the power output and were withdrawn early. 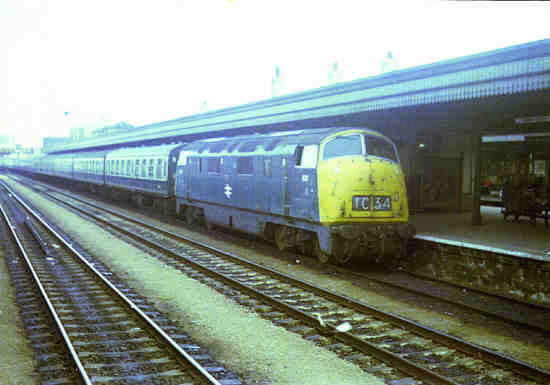 There is a photo of a Warship at Paignton on Early diesels at Paignton.